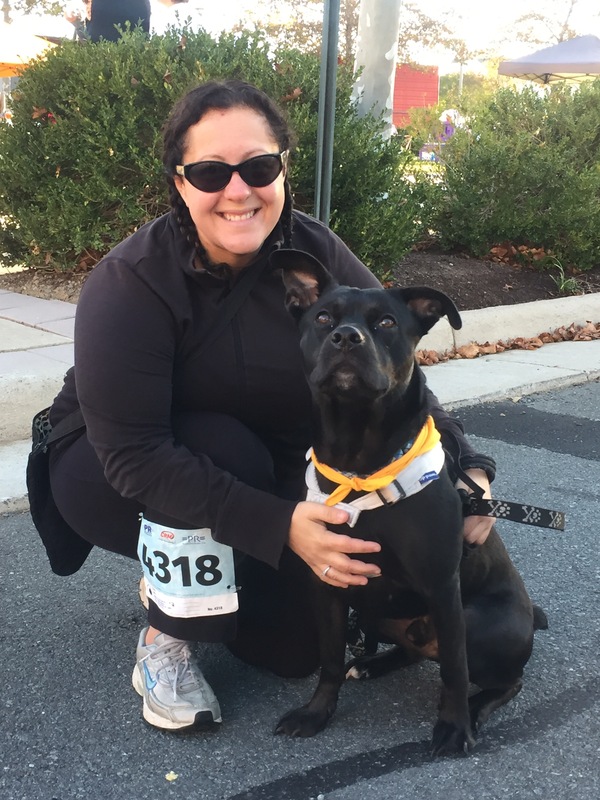 In memory of Toby, and all of the pets – canine and feline ­­­– we know who were taken by cancer earlier than they should have, we traveled to northern Virginia this weekend to participate in the Two by Four Race Against Childhood & Canine Cancer. 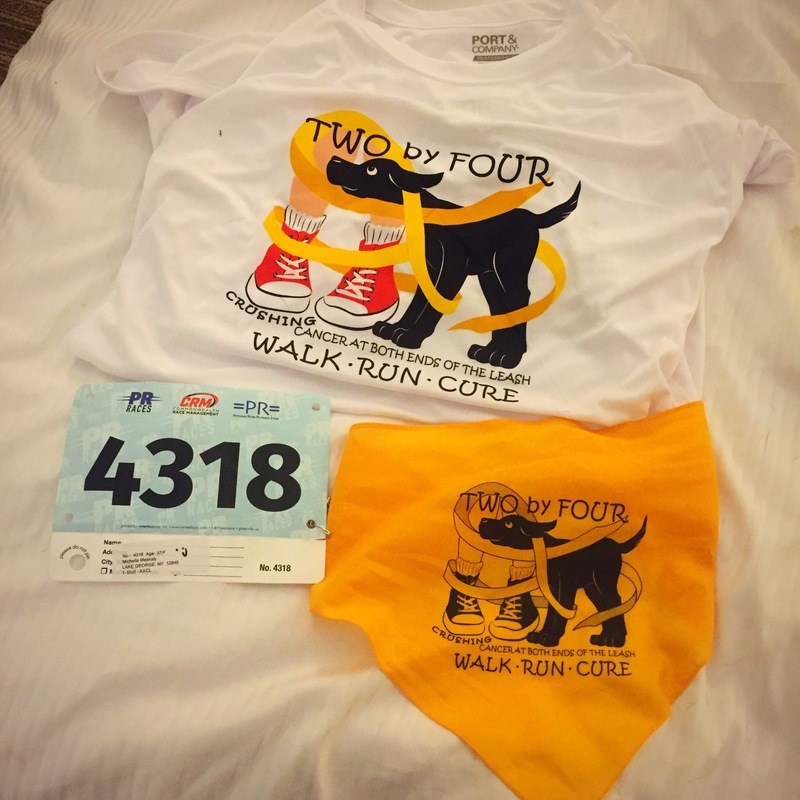 The race, which consisted of a timed 5K, a fun run and a one-mile dog walk, which is what we participated in, not only raised money for the causes, but also brought awareness to the similarities between pediatric and canine cancers. It was sponsored by the Canine-N-Kids Foundation and Smashing Walnuts. 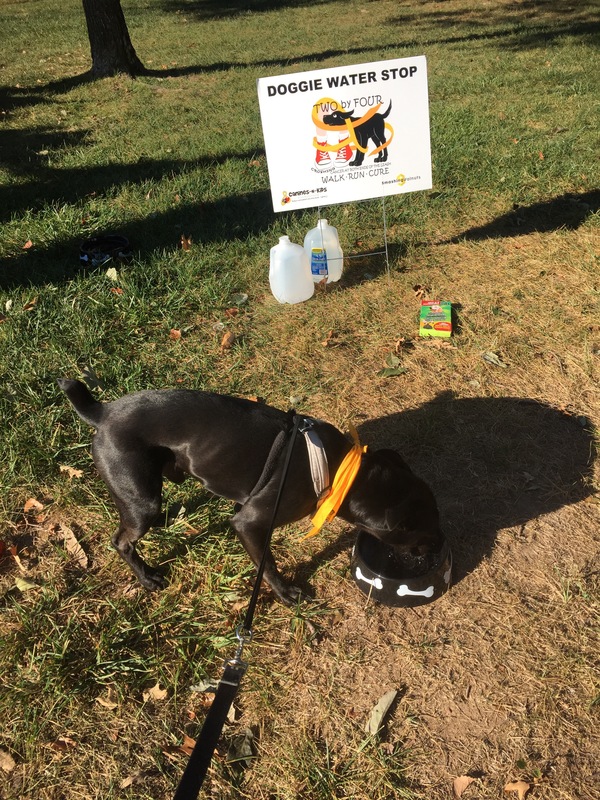 Earlier this year we attended the Canine-N-Kids Foundation’s Paws for a Cure Summit in Washington, D.C. It brought together pediatric and canine oncologists to discuss the similarities between the research and how to better work together. 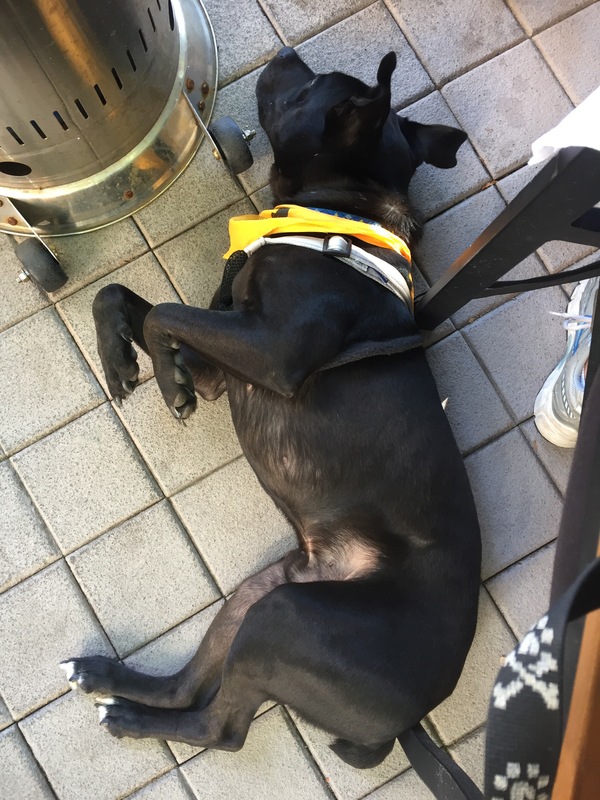 I learned so much about comparative oncology and how the two areas of study are so similar. 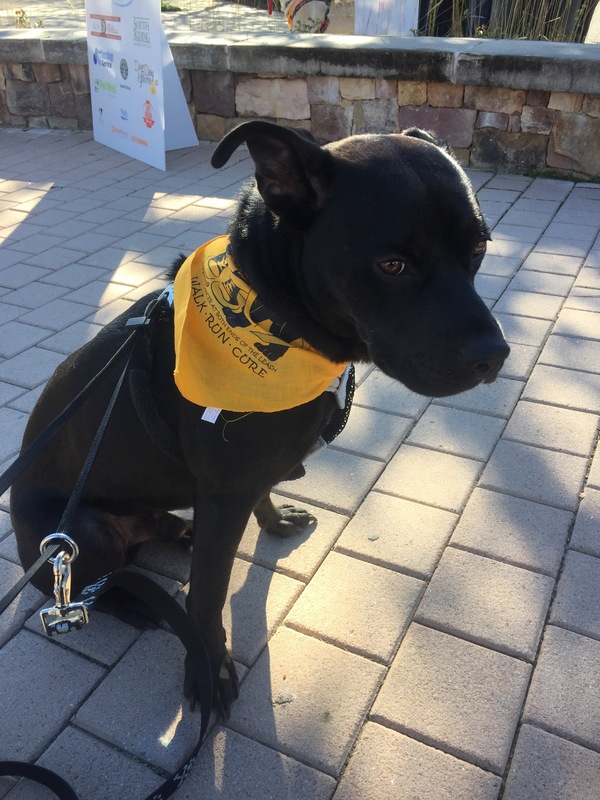 The founder of the Canine-N-Kids Foundation was a big part of finally getting connected to someone at Cornell University and being able to donate Toby’s lymphnode when he passed away. The walk was a lot of fun. 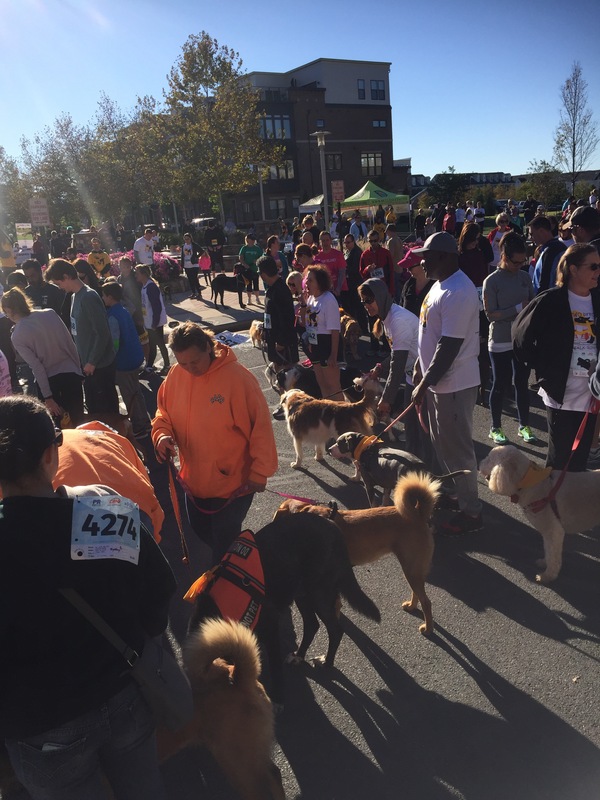 It was great to see so many people come out to support and raise money for canine and pediatric cancer. All the dogs were well behaved and it was nice to meet new people. We are definitely making this an annual trip. On a separate note, Bear did great. No barking, greeted everyone with a friendly wag and eagerly took treats from anyone who was interested in giving them to him. After the walk, we went to brunch across the street and he did well there, too. For those wondering, I didn’t bring Maddux and I do feel guilty about it. But, sometimes Maddux is a little leash reactive and then that causes Bear to react. I didn’t want there to be any problems. 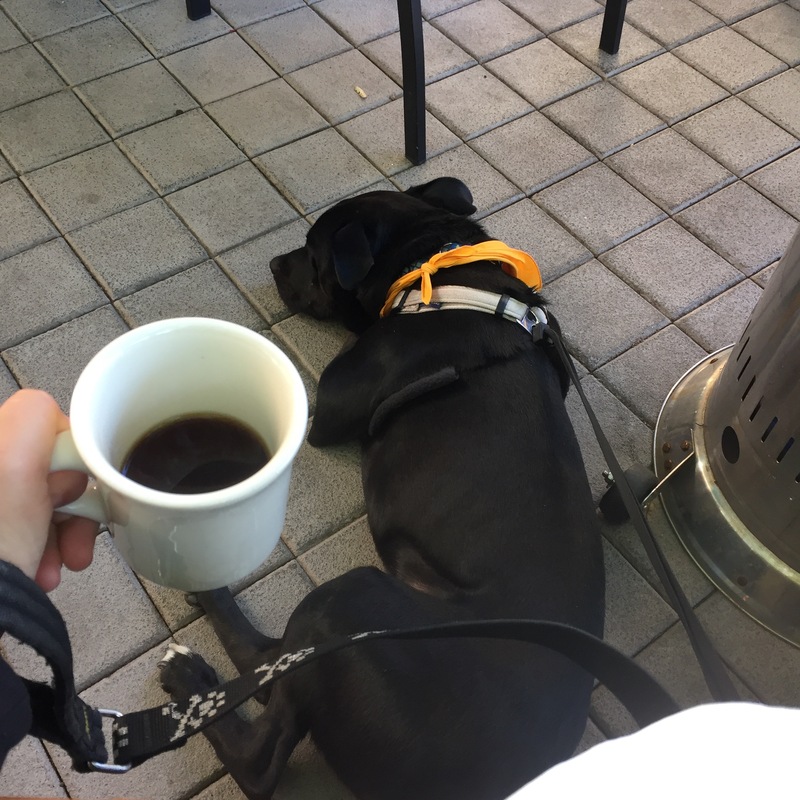 Also, I registered for this walk in August when Toby was still with us, and I tried to never leave Toby alone ­– always having at least one other dog with him. Unfortunately, that usually ended up being Maddux since he was most comfortable with him, and since my Dad doesn’t mind taking care of Maddux for me. Next year, I will bring both of them.